Let’s Take it From the Top: Eat More Green Leafy Vegetables! Make those green leafy veggies part of every meal and snack throughout your day. Mix them with eggs for a delicious omelet or blend ’em into a protein shake for breakfast. A great lunchtime selection is a salad, or a sandwich loaded with greens. Continue your indulgence at dinnertime with a generous, rainbow selection of salad items on a 10” dinner plate. Choosing Green leafy veggies with every meal and snack will give you an abundance of antioxidants and the energy you need to Shake That Booty! Speaking of Booties…Let’s Transition Downwards! The most powerful muscle in our bodies is the Gluteus Maximus. The glutes and all large muscle groups need lots of energy (calories) to carry our body weight and perform all major movements, in this case the hips. Adding a few body weight hip exercises to your workout routine will keep the hips strong and flexible. A few fantastic exercises to increase the strength in our bottom are squats, lunges, plyometrics and hip extension. Stretching daily with static and dynamical exercise can help the hips/glutes stay fit and pain free. When we put it all together, and develop these new habits, you’ll fill the body with healthy energy to support all major muscle groups and activity levels. Greens will provide strong nutritional support, while a comprehensive workout program developed with an AVAC® AbsoluteFIT Instructor or Personal Trainer will build strength and agility to take you everywhere you want to go. From top to bottom you’ll experience the feeling of Greatness. Want to talk more about Greatness? Send me a message! 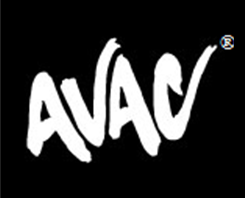 Jvail@avac.us.